September 18, 2014, London – StorDigital Systems Ltd is actively supporting the countries police forces as they roll out of digital versions of their fixed and stationary speed cameras. In London alone hundreds of traditional “wet film” speed cameras will be replaced with digital cameras at traffic junctions where motorists are often caught jumping the lights. Work to upgrade the existing London network is expected to be completed by October 2016. In partnership with public sector solutions providers StorDigital Systems have developed a range of bespoke devices aimed at making the lives of digital camera operatives easier. Every camera will be producing a huge volume of data that needs to both accessed, shared, stored and archives, which is where the StorDigital GoBlu™ Series of duplicators come in to play. “The demand for Digital Storage media and its applications have never been great or more diverse. 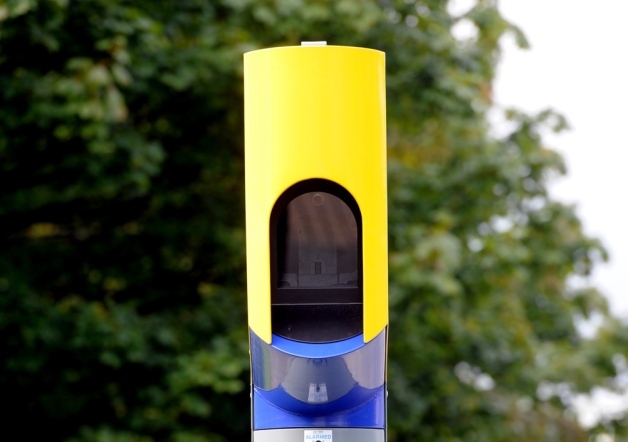 The roll out of digital technology across the UK’s speed enforcement teams means there will be a subsequent demand for solutions that enable operatives to quickly and easily manage their data. In most cases this will involve attending the device to retrieve a CF card that will then be required, by law’ to be securely backed up and archived. ” according to Nic Ranshaw, Sales Manager of StorDigital Systems Ltd.
“ By working closely with solutions providers, active within the ‘Safety Camera Partnership’ scheme we have developed a scalable solution that allows operatives of both fixed and mobile cameras to quickly and easily retrieve, store and archive crucial digital evidence. Mobile speed enforcement cameras typical capture 16GB or 2 hours worth of data per day, and a typical operative will need to backup and store data from 3-4 cards per day. The StorDigital Systems GoPro™ simplifies the back office process of burning the CF card to Blu-Ray on one standalone device allows the operative to backup 3 CF cards simultaneously. The whole process is inline with continuity of evidence protocol and the burnt Blu-Ray discs are totally tamper proof.” says Ranshaw. 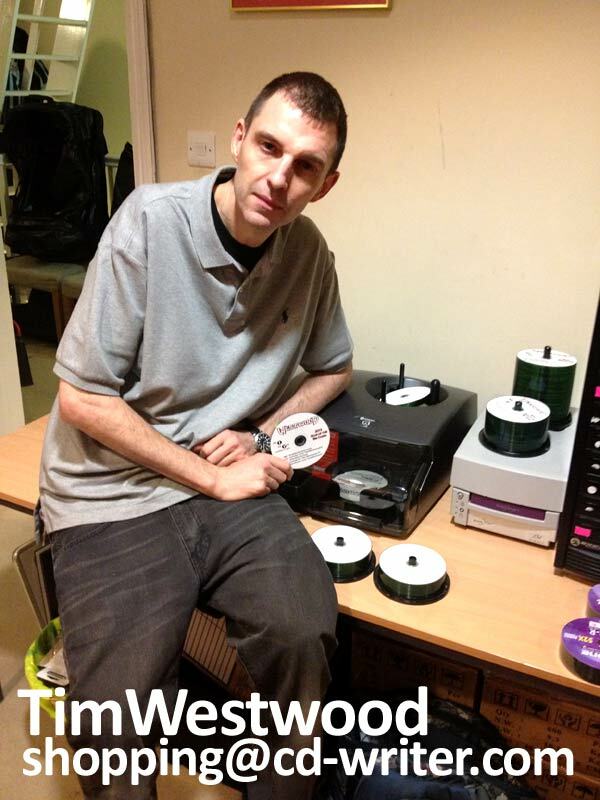 CD-writer.com Ltd (established in 1999) have quickly forged a market niche and are now regarded as one of the UK’s leading independent suppliers of CD and DVD production systems. With a reputation built on service, value and great products CD-writer.com Ltd supplies many blue chip companies, financial institutions, government bodies and educational authorities. An extensive range of CD DVD duplicators, copiers and printers are on offer with systems from leading manufacturers including Microboards, Primera, Rimage, MFdigital. CD-writer.com Ltd also offers their own brand of professional StorDigital duplication systems including, high capacity robotic auto copiers and manually operated high capacity tower copiers. SPEED CAMERAS in the capital are to be upgraded, with Londoners being warned to watch their average speed and not just their rate while passing the camera. StorDigital Systems Ltd is actively supporting the countries police forces as they roll out of digital versions of their fixed and stationary speed cameras. In London alone hundreds of traditional “wet film” speed cameras will be replaced with digital cameras at traffic junctions where motorists are often caught jumping the lights. Work to upgrade the existing London network is expected to be completed by October 2016. Average speed cameras, which check speed compliance along a more extensive length of road rather than just where the camera is located, have been trialled on a stretch of the A13 east of London. Now Transport for London (TfL) is announcing that these types of camera will be installed at four more trial locations. TfL’s strategy and planning director Ben Plowden said: “Ensuring that all road users are acting responsibly is vitally important to ensure that the capital’s roads are kept safe for all. Digistor, a provider of storage devices and a trademark of Sunland International, LLC, announced a free trial version of REWIND archiving software. Anyone interested in enjoying the reliable permanent backup solution on the market can take REWIND for a spin and see just how effective it is at securing valuable data for the long haul. Digistor’s REWIND software enables archiving solutions for professionals and individuals who need to ensure that their digital assets will remain accessible and secure for life. Permanently backup photos, videos, documents or other digital files with REWIND and rest easy with a reliable archiving programs at your disposal. With REWIND, Digistor has made digital archiving a simple and streamlined process. 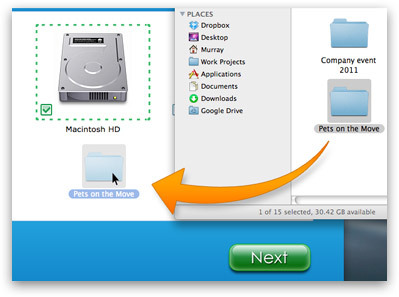 The program features a user interface that is a breeze to navigate, enabling a quick and permanent backup. Drag and drop the items you want archived into the REWIND file browser and REWIND will take care of the rest. A trial of REWIND is available here and also with select hardware and media bundles. REWIND’s free trial is a full function version of the software offering up to five archive burns and full restore ability. REWIND is compatible with both PC and Mac. StorDigital GoPro turns duplication on it’s head with Disc to Flash functionality. 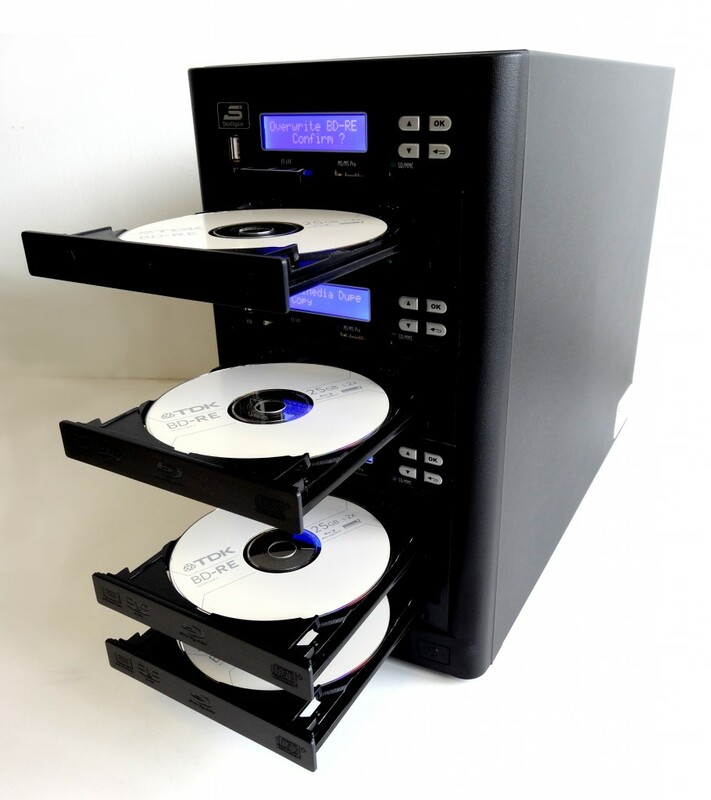 The new StorDigital GoPro duplication system for CD DVD, and BluRay turns traditional tower duplicator functionality on its head. GoPro duplicators allow users to extract the contents of their optical product like, CD, DVD and Blu-Ray direct to flash media through a simple no PC required operation. 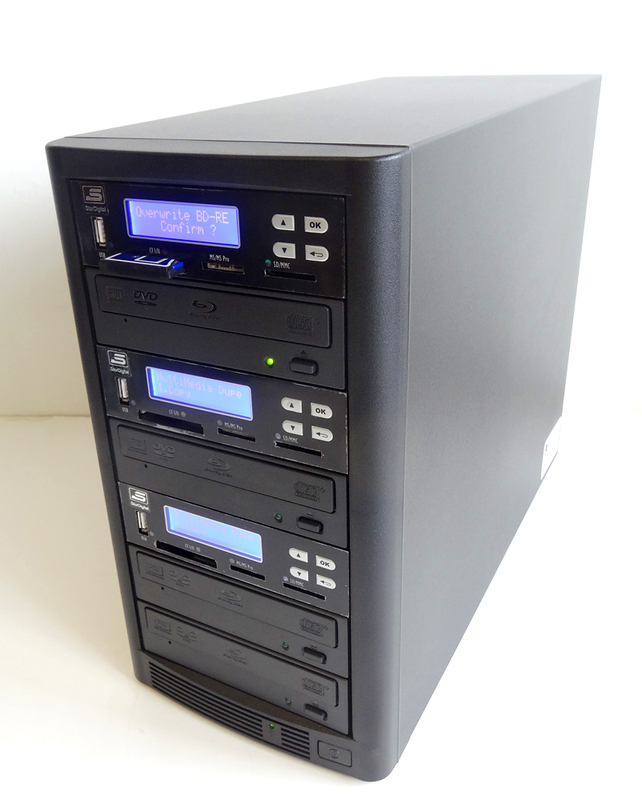 The GoPro range of DVD CD and Blu-Ray duplicators performs all the usuall tower duplicator functionality such as; disc to disc copy operation, but also features and enhanced flash media interface that performs both a Flash to Disc ™ copy operation and a Disc to Flash copy operation. Backing up and sharing digital content has never been easier than with the StorDigital GoPro Duplicator range. 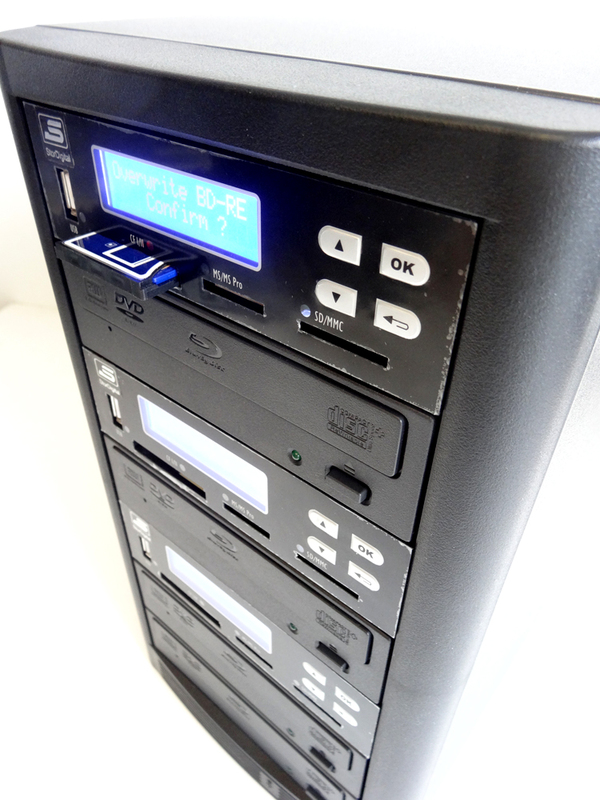 Find out more about the exciting range of StorDigital Duplicators and Digital Media solution by calling 0208 293 0777. You can buy the new StorDigital GoPro here. 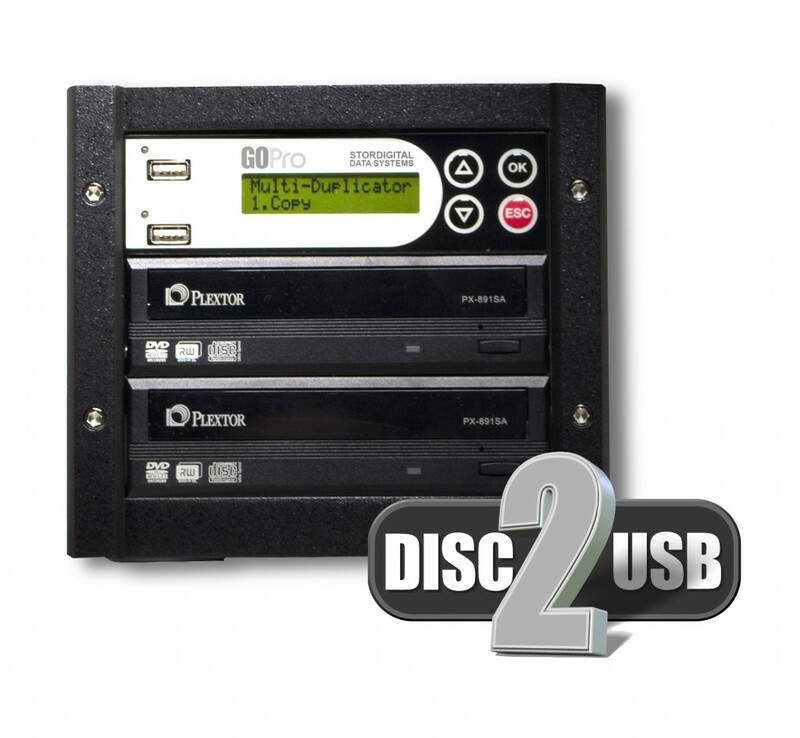 Blu-Ray duplicators from StorDigital – deliver on price and performance. 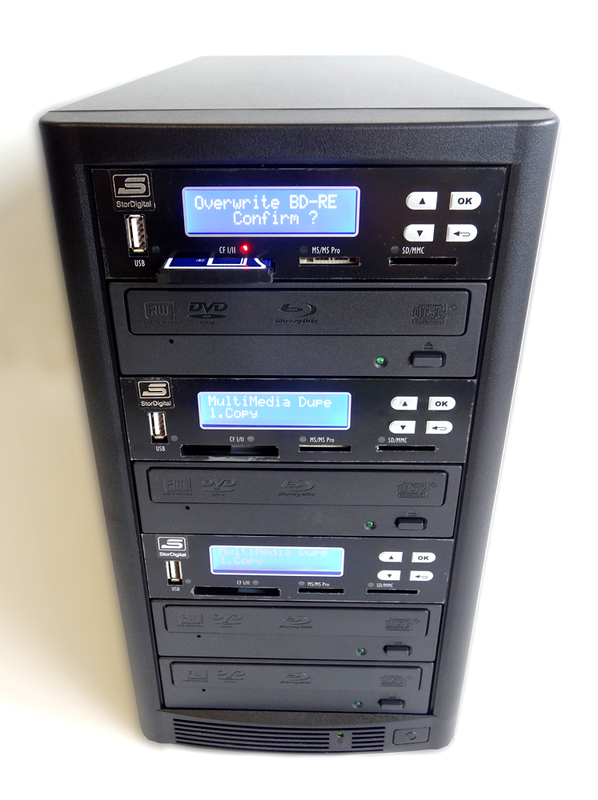 StorDigital’s best selling range of tower duplicators can copy DVD CD and Blu-Ray media from a range of sources. Options includes copying from Host PC, Network, Card Media and USB devices. You can even copy protect your copied DVD Video content. No other range of duplicators on the market delivers a richer range of functions at a price that is more affordable than the competition. Find out more here. For a limited period only we are running new pricing on the full range of StorDigital Blu-Ray duplicators. Available with from 1 to 11 Blu-Ray targets there is an option for all sizes of production requirement. Every Blu-Ray duplicator features the latest high speed Blu-Ray burners from Pioneer and come with a back to base warranty for parts and labour. Blu-Ray tower copiers will copy Blu-Ray, DVD and CD in the full range of formats including dual layer. Thinking of upgrading your tower duplicators? Well, think StorDigital and think Blu-Ray. MINNEAPOLIS, MN – April 24, 2014 – Qumu Corporation (NASDAQ: QUMU) and Equus Holdings, Inc. (www.equus-holdings.com) today announced they have entered into a definitive asset purchase agreement under which Qumu will sell its Rimage disc publishing assets to Redwood Acquisition, Inc., a wholly-owned subsidiary of Equus Holdings in an all cash transaction valued at $23 million, subject to certain adjustments. The transaction resulted from a comprehensive process implemented by Qumu’s Board of Directors to maximize the value of the disc publishing operations for shareholders while enabling Qumu management to focus resources and time exclusively on the Company’s high growth enterprise video content management software business. The transaction is subject to certain closing conditions, including Qumu shareholder approval, and is expected to close by July 31, 2014. Equus Holdings is a Minneapolis-based company that has evolved from a custom computer manufacturer to a portfolio of technology companies primarily in the IT equipment and solutions markets. Equus has been in business for 25 years and seven years ago became 100% employee-owned through an ESOP. “Since 2010, we have noted our focus on addressing the decline in disc publishing revenues and driving a transformation in the business. At that same time, we began investing in online file sharing technology to target the evolving technology landscape in mobility and cloud computing. As our strategic vision developed further, we recognized the opportunity for video in the enterprise and, as a result, in October 2011, acquired Qumu, Inc., a leader in the emerging enterprise video software industry,” said Sherman Black, president and CEO of Qumu. “Our Board believes the transaction with Equus Holdings represents the highest value alternative for Qumu shareholders. We look forward to working with the Equus team to achieve a smooth transition of the disc publishing operations following the closing of the transaction,” Mr. Black concluded. “For the past 25 years, Equus has been a leading provider of integrated computing, managed and mobile solutions to the North American value-added reseller channel. Like Equus, Rimage has a market leadership position and a reputation of high integrity and dependability. Rimage will be operated as a wholly owned subsidiary within the Equus organization, which will leverage Equus’ corporate structure, yet enable Rimage to remain focused and committed to delivering best in class disc publishing solutions and customer support. The Rimage operations complement our existing business and we are excited about working with their team to optimize opportunities in the marketplace once the transaction is completed,” said Andy Juang, President & CEO of Equus. Mooreland Partners LLC acted as exclusive financial advisor to Qumu in connection with the transaction and delivered a fairness opinion to Qumu’s Board of Directors. Qumu will report results for the first quarter ended on March 31, 2014 on Monday, April 28, 2014 after market close. This press release contains forward-looking statements that are made pursuant to the safe harbor provisions of the Private Securities Litigation Reform Act of 1995. Any statements contained in this press release that are not statements of historical fact may be deemed to be forward-looking statements. Without limiting the foregoing, words such as “may,” “will,” “expect,” “believe,” “anticipate,” or “estimate” or comparable terminology are intended to identify forward-looking statements. Actual results might differ materially from those stated or implied by such forward-looking statements due to risks and uncertainties associated with the transaction and the Company’s business, including the risk that a condition to closing of the transaction may not be satisfied, including shareholder approval and receipt of financing by the buyer; the possibility that competing offers for the disc publishing assets may be made; the risk that the transaction will not be consummated within the expected time period; the effects of disruption from the transaction making it more difficult to maintain relationships with employees, customers, suppliers and other business partners of both the disc publishing and software businesses; risks related to Qumu’s ability to operate its retained software business; the challenges associated with transitioning the software business and disc publishing business to separate, stand alone operations following closing; and the factors discussed in the Company’s Annual Report on Form 10-K for the year ended December 31, 2013 filed with the SEC. Qumu and its directors, executive officers and other members of its management may be deemed to be soliciting proxies from the Company’s shareholders in favor of the transaction. Investors and shareholders may obtain more detailed information regarding the direct and indirect interests in the transaction of persons who may, under the rules of the SEC, be considered participants in the solicitation of Qumu’s shareholders in connection with the transaction by reading the preliminary and definitive proxy statements regarding the transaction, which will be filed with the SEC. Information about the Company’s directors and executive officers may be found in the Company’s definitive proxy statement for its 2014 Annual Meeting of Shareholders filed with the SEC on April 15, 2014. These documents are available free of charge once available at the SEC’s web site at www.sec.com or by directing a request to the Company as described above. Qumu Corporation (NASDAQ: QUMU) provides the tools businesses need to create, manage, secure, distribute and measure the success of their videos. Qumu’s innovative solutions release the power in video to engage and empower employees, partners and clients. Qumu helps thousands of organizations around the world realize the greatest possible value from video and other rich content they create and publish. Whatever the audience size, viewer device or network configuration, Qumu solutions are how business does video. Additional information can be found at www.qumu.com. Rimage Disc Publishing (www.rimage.com) offers industry-leading digital publishing solutions to archive, distribute and protect content on CDs, DVDs and Blu-ray Discs to more than 10,000 customers around the world. Key markets and applications for its products include video workflows, retail, medical imaging and law enforcement. Equus is proud to be one of America’s largest computing system manufacturers. Since 1989, Equus has delivered more than three million build-to-order and ready-to-ship computing systems through its reseller channel and Serversdirect.com web store. Equus has prospered because of its ability to boost efficiencies, adopt the latest technologies, and provide the highest quality solutions. As an experienced ISO 9001-certified systems builder, Equus continues to be a trusted and valued partner to solution providers by offering high-quality IT solutions combined with consistent and efficient delivery and service. By anticipating technology trends, Equus helps it customers prepare for market changes and new opportunities. I am excited to announce that, effective July 1st 2014, Rimage will be named “Rimage Corporation” (www.rimage.com) and structured as a wholly owned subsidiary under the ownership of Equus Holdings (www.equus-holdings.com). This will be a fantastic new chapter in our business and I am so pleased to have our employees, partners and customers joining us on this journey! We are on this journey together and I truly appreciate your support and guidance along the way. If you ever observe Rimage missing an opportunity to execute at its best, please let us know so we can make the right adjustments to continually calibrate our business to stay aligned with yours. On behalf of the entire Rimage team, we thank you for your partnership and look forward to continued mutual success together. That’s right CD-writer.com Ltd recently played host to Justice Promotions LTD, the Big Dawgs publishing company. They bought one of the new MicroBoards G series disc publishers to compliment their existing ‘in-house’ duplication equipment. Good luck to Tim and his team for their continued success at shaking up the UK’s urban music scene. For the first time in 14 years the CD-writer.com Ltd online store is now available on our main domain www.cd-writer.com rather than our subdomain shop.cd-writer.com. 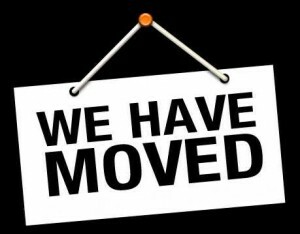 Please bookmark our new location at www.cd-writer.com/catalog. If you notice any bugs, errors or problems please email us on support@cd-writer.com. Or call us on 020 8293 0777 to place your order. 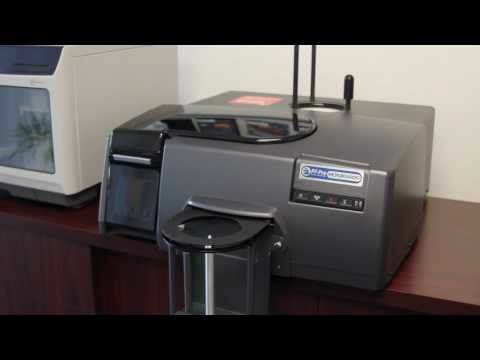 Print Factory Pro Disc Printer Ex-Demo with 12 months full warranty – Bargain !! We presently have in stock a ex-demo print factory pro in as new condition. Take advantage of this limited special offer and buy the best selling automated inkjet disc printer with a full 12 month warranty at a one time limted offer price. Find out more here. Or call 020 8293 0777.